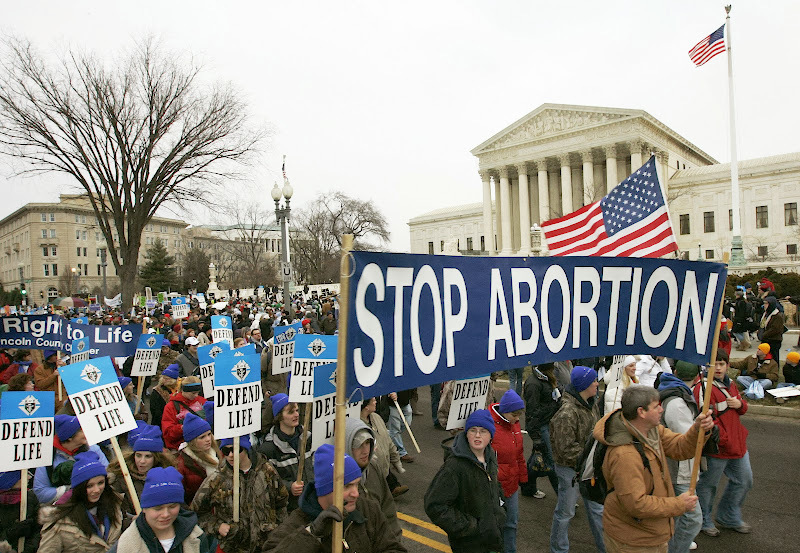 In 2013, 48 percent identify as "pro-life" and 45 percent as "pro-choice." It's no surprise why pro-abortion forces in America don't want free speech when it comes to raising awareness about this issue of, literally, life and death. The more people understand the reality of abortion, the more they don't want it as a legal, easily accessible part of American life. Now, as 650,000 plus pro-life demonstrators are about to arrive in Washington, DC for this year's March for Life on January 22, noting in protest the 41st anniversary of the Roe v. Wade decision, the Supreme Court has just heard arguments on a critical case involving freedom of speech on this issue. Seventy-seven year old Eleanor McCullen's challenge to a 2007 Massachusetts law, which forbids anyone other than patients and employees to stand within a 35 foot radius of the entrance to an abortion clinic, has made it's way to the nation's highest court. Arguments that this prohibition is about the physical safety of women entering these clinics are absurd. There already are federal and state laws that prohibit physical interference or intimidation of clinic patrons. This law is aimed solely to abridge the free speech of pro-life activists and prevent them from communicating with women arriving to these clinics. This abridgement of speech is a clear and flagrant violation of freedom of speech guaranteed in the constitution's first amendment. What a distortion it is that the pro-abortion contingent has managed to get itself labeled “pro-choice.” Choice is about light not darkness, about knowledge not ignorance. Why do those who claim to favor “choice” fight so hard against efforts to assure that women who are considering the horrible decision to extinguish life they are carrying make as informed a decision as possible? Unfortunately, this is often driven by elitism and racism. Abortion clinic clientele are disproportionately poor and disproportionately black. Across the board, poor communities and black communities have been devastated over many years by policies designed by liberal elitists convinced that they know what is best for these unfortunate souls. The abortion clinic is often the last stop in a chain of bad information delivered into low-income communities that creates the government-dependent culture that fosters the never-ending cycle of poverty. But good information at any stage of the cycle can change things forever. That good information can be a pro-life Christian standing at an abortion clinic. I wrote a number of years ago about a young black woman named Ebony. When she became pregnant her boyfriend encouraged her to abort the child. She found little problem in arranging an appointment at a clinic, where they assured her she was making the right decision because abortion would be “cheaper” than having the child. But Ebony was uneasy. Sitting up late, she called into a Christian radio talk show where she was referred to a crisis pregnancy center. At the center, she saw her baby via ultrasound and changed her mind. At the center they helped her birth and provided clothes, food, and counseling. When I wrote about Ebony her son was four years ago and she had no doubt about the correctness of her decision. A decision made because she had the good fortune to get information. As I tour the country to speak at crisis pregnancy centers I hear the stories of sorrow, regret, and guilt from those who went down the one way street of destroying the child with which they were blessed. America cannot be a free country without free speech. Free speech leads us to a deeper realization that we cannot be a free country without proper respect for life.